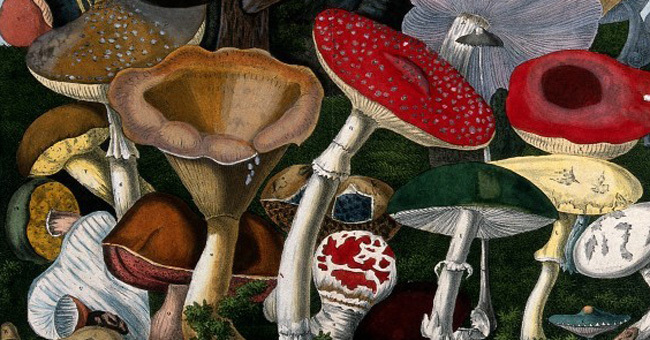 »Various fungi – 20 species«, 1827, including the fly agaric (Amanita muscaria), death cap (Amanita phalloides) and Boletus and Agaricus species. By A. Cornillon. High Society.